Author, writer, journalist, coach, public speaker and radio personality Jonah Nyoni, who is currently doing the Henley Professional Certificate in Coaching, was recently announced as the winner of the Zimbabwe-based International Coaching and Mentoring Foundation’s (ICMF) 2018 Executive Coach of the Year Award and second runner-up in the Overall Coach of the Year Award. Zimbabwe-born and based Nyoni has risen from humble beginnings to become a journalist and writer. He is the author of Speak Like a Pro, Inspiration for Success and co-author of Success Within Reach. He has written more than 200 articles, published in prominent newspapers and magazines and is a regular speaker at conferences and universities. He facilitates on leadership, personal development and corporate dynamics and frequently comments on leadership issues on television and radio in Zimbabwe and South Africa. He is also a weekly columnist in NewsDay, Zimbabwe’s leading independent newspaper. He has worked with many of Zimbabwe’s blue-chip companies, institutions, NGOs, universities and schools. He says while Zimbabwe boasts a high level of education, leadership, coaching and public-speaking skills are still lacking. Studying towards the Henley Professional Certificate in Coaching, says Nyoni, has helped him refine his coaching expertise and has increased his confidence. “It has improved my personal effectiveness, emotional intelligence and soft skills. 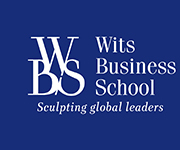 At Henley Business School Africa (Henley Africa), learning goes beyond just the classroom. Being connected to the Henley alumni network and other resources has also been invaluable to me.” Henley’s alumni network has been ranked #1 in the world by the Economist (2018) for potential to network. On completion of his coaching course at Henley, Nyoni plans to study towards a Masters in Leadership at Henley UK. “I want to be the ‘go-to-person’ in leadership coaching, not only in Africa but globally. I see myself as a coach of coaches. My greatest dream is to establish the Leadership and Coaching Centre of Excellence.